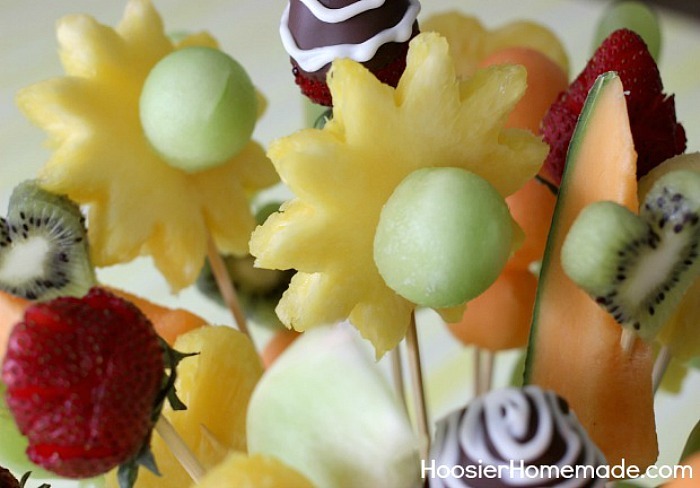 It’s time for a fun and delicious project that will impress everyone, but we won’t tell them it’s really easy. 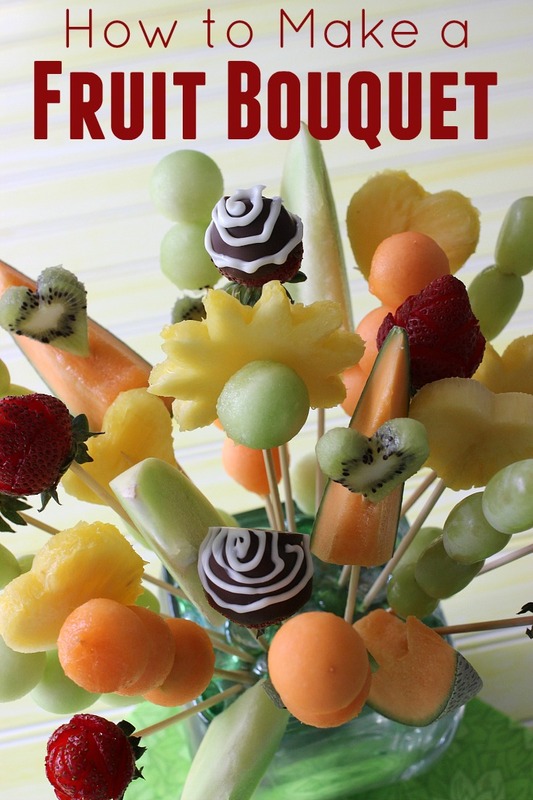 With Spring and Summer, comes many opportunities for gift giving – Mother’s Day, Father’s Day, Birthdays, Baby Showers and more. 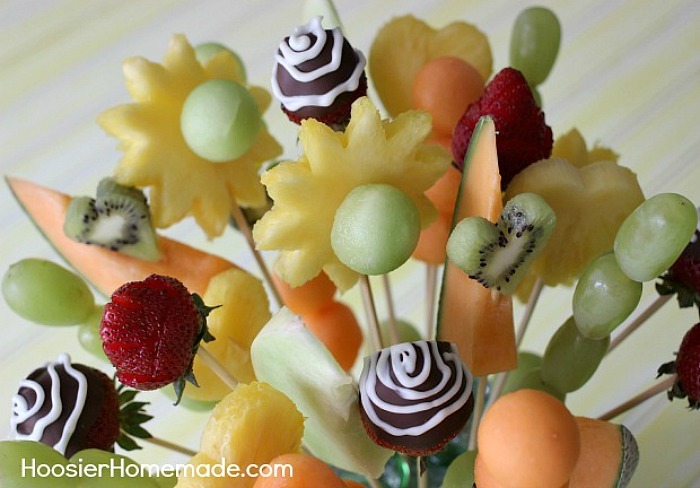 So with those special days in mind, I’m showing you how to make a Fruit Bouquet. 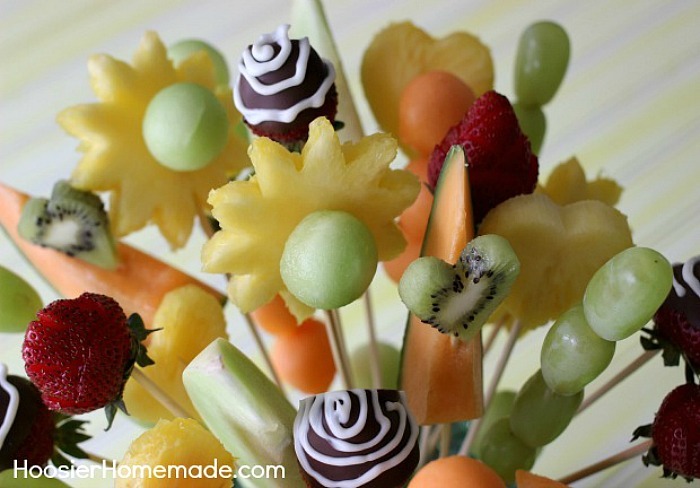 The Fruit Bouquet is easy enough that the kids can help. There are a few tools that will need adult supervision, but the kids can definitely help. 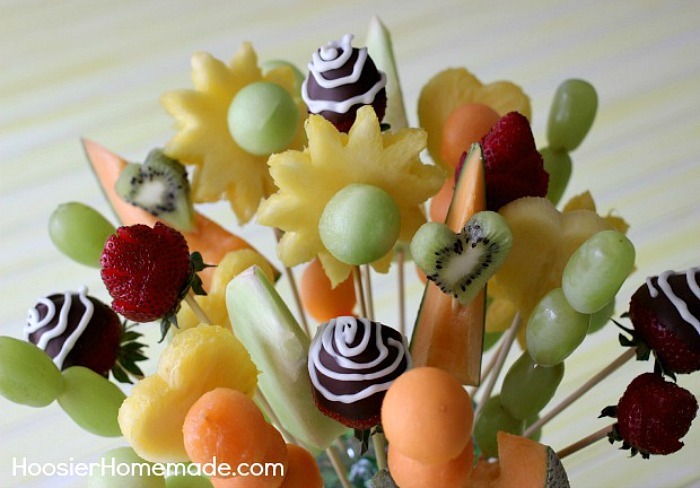 Men – listen up – Mother’s Day is coming soon and I bet your wife would love Breakfast in Bed and this amazing Fruit Bouquet. And ladies, if you are anything like me, I love for my boys and Doug to do simple things for me. I really don’t need lots of expensive gifts (of course they are always nice) but not really necessary. I think the gifts that they make are just as nice. 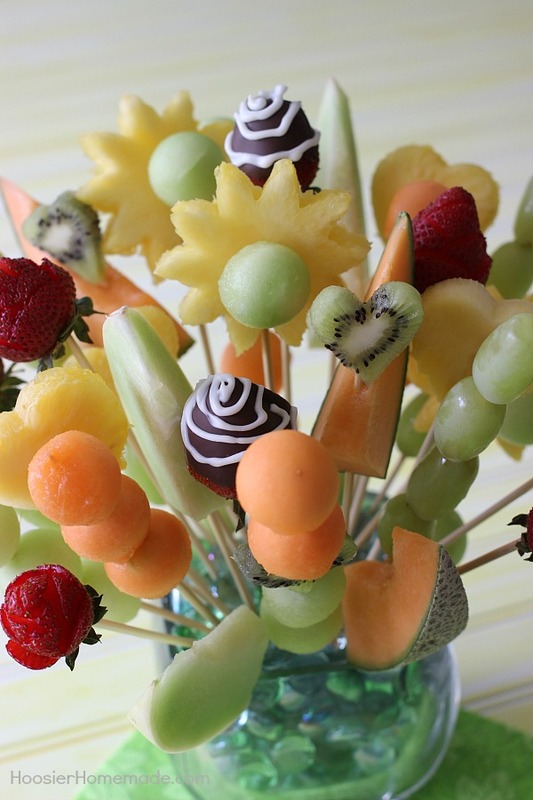 So be sure to send this as a friendly hint to the man in your life. If you haven’t been to our video channel lately, be sure to go check out what we have been working on. You will find all the videos nicely marked and there are also new playlists. 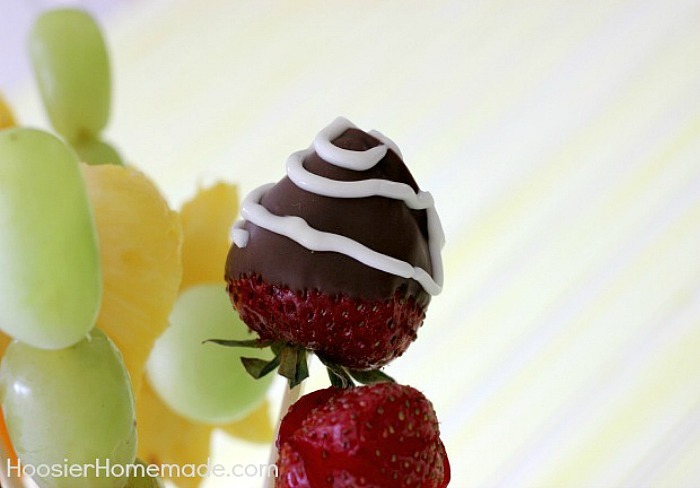 For the Chocolate Dipped Strawberries, you can see how to make them along with some gourmet toppings if you like. Love this idea! 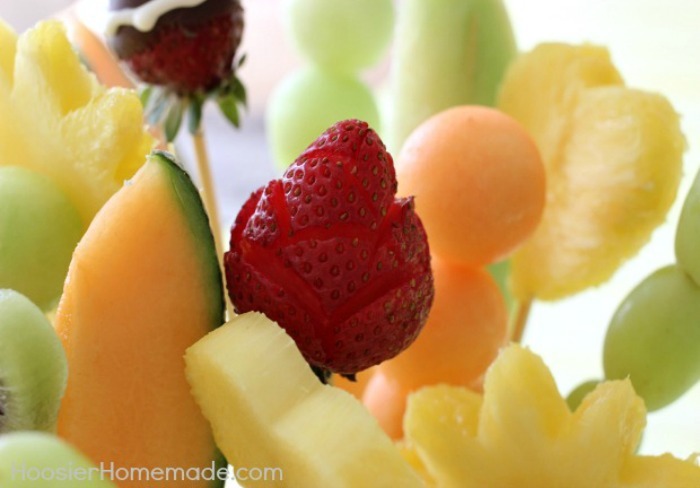 Thank you for joining Delicious Dishes Recipe Party this week. Hope to see you again! Thanks so much! We will visit again!